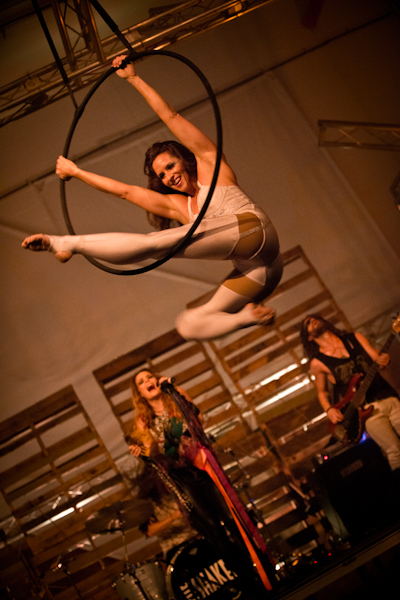 It's the stuff of dreams and fantasy - a world filled with flying souls, acrobats, dancers and Shamans. Add to that one of LA's most buzzed about bands performing live and what you get is a 360 degree rock and roll circus the defies gravity and expectations. 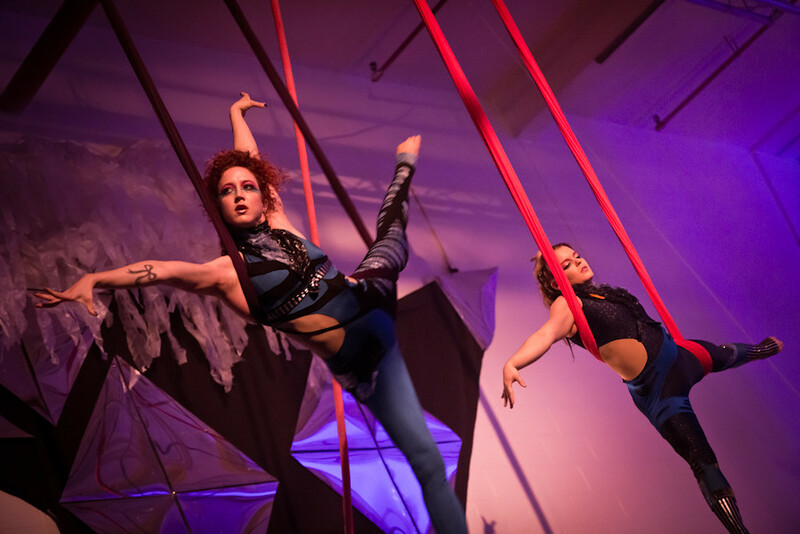 It's called Shapeshifter from the mind of Jordann Baker who conceived of this theatrical/art/circus/concert event six months ago after watching an aerial performance at Way 2 Much Entertainment. Baker who wrote, produces and directes Shapeshifter also serves as one of the key aerial performers, who, for most of the show, spends it 30 feet in the air, effortlessly swinging above the crowds on silks with no safety net. The music of Los Angeles' own The Shakers was the inspiration to Baker's beautiful madness. "The music of The Shakers - one of my favorite bands - inspired me as the show came to life and of course it was only natural that they be the magical vessel for this story," Baker says. Rescue Team is the latest album by The Shakers, serving as the soundtrack to Shapeshifter and as lead singer Jodie Schell explains, the album is about "...how we exist to strengthen our spirit and the people we love. The only way to do that is to stand up to the villains, even if it's the one inside you. And when you can't do it alone, you let your rescue team help you." Baker's dream finally became a reality after a IndieGoGo campaign successfully raised over $10,000 in two months. 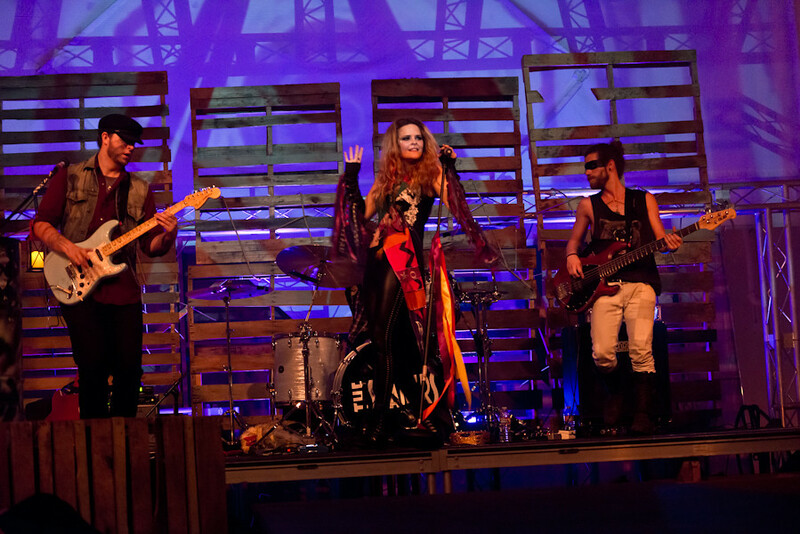 And after rigorous weeks of training and rehearsals, Shapshifter finally debuted at the Way 2 Much Entertainment Studio (home of the Derby Dolls) on May 23rd. The daredevil cast, who daringly dazzle above the audience also includes Terril Teran, Rachel Tatem, Hope Hall, Jeffrey Little and Sita Acevedo. And the high-octane, driving performance of The Shakers consists of Jodie, Chris Lee (lead guitar), Nick Woods (drums) and John Rogan (bass). 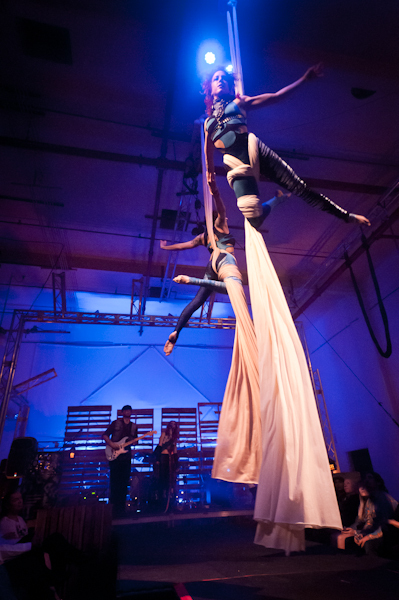 Shapeshifter is a show where YOU are actually part of the show; 360 degrees of eye candy - aerialist, acrobats, art and theatrical set pieces. Add to that the adrenalin rush of a live concert and Shapeshifter may have upped the bar for future live shows. Final shows are Friday (May 30) and Saturday (May 31). Tickets are available at shapeshifter.brownpapertickets.com .